“Very strange and unusual, unexpected, or not natural”… This is the definition that the Cambridge Dictionary provides for Weird. It goes without saying that I could have given this post a different title: “Top rarest words”, or “Unusual words”, or even “Most wonderful words in the world”, since some of them strike me as little works of art. Be that as it may, the following words feature among the most curious, odd, original or funny ones in the world. The reasons why I have ranked them among the top 10 are varied: from its meaning and its sonority to the way they were formed and its originality. You will also find some honorable mentions at the end of this post. I’m sure you know more interesting words in other languages worthy of featuring in this post, so please feel free to share them in the comments box below. Language: Yiddish. Incorporated into English language. Meaning: to be extremely cheeky, impertinent beyound belief. Meaning: third-rate, valueless, inferior, very poor quality. The word turnip usually has sexual connotations in Spanish. Even in Spanish, It sounds funny and playful. Origin/Etymology: from 過労 (karō, “overwork”) + 死 (shi, “death”). Meaning: death caused by overwork or job-related exhaustion. Origin/Etymology: from Schaden, “damage, harm”, and Freude, “joy”. Meaning: the habit of dropping in at mealtimes. To drop in means call informally and briefly as a visitor. Origin/Etymology: from Latin arachis (“peanut”) + butyrum (“butter”) +‎ -phobia. Meaning: to scratch one’s head while trying to remember something. Meaning: Person who helps horses when breeding, by placing the colt’s member into the mare’s pudenda. Origin/Etymology: from Old High German sculd, from Proto-Germanic skuldiz. Meaning: Schuld means debt, but, fancy that! It is also a synonym for guilt. TARTLE (Scottish Gaelic): that moment before you introduce someone and you suddenly forget their name. DÉPAYSANT (French) the feeling you get when you’re in a new place and experiencing very new things that make you feel foreign, like a fish out of water. KERFUFFLE (British English): to make a fuss or a bother, usually when people have different points of view. TOCAYO (Spanish) A person who shares your first name. CAPICUA (Catalan). Literally “head-and-tail”: number, word, phrase, or other sequence of characters which reads the same backward as forward. Spanish borrowed the Catalan word, so “capicúa” (with an accent) is also a Spanish word. HULLABALLOO (English) loud noises and yelling that people make when they’re angry. Though it hasn’t been plain sailing, I have finally created a list of movies featuring translators and interpreters. From thrillers to sci-fi, rom-coms to comedies, there’s something for every taste. Have you seen these films? If you have any suggestions, queries, or just comments regarding this collection, don’t hesitate to get in touch! Denis Villeneuve directs this outstanding sci-fi movie that will delight translators, interpreters, philologists and linguists. The movie revolves around communication with an alien species, that has suddenly arrived, seemingly out of nowhere. The hypothesis of this sci-fi movie states that language alters the way we think and the way we see the world. This theory, which contradicts Noam Chomsky’s ‘universal grammar’, is known as linguistic relativity or Sapir-Whorf hypothesis. The military, in order to work out whether the aliens come in peace or not, hire a linguist (Amy Adams) who, in turn, will experience important changes as she deepens in communicating with the extra-terrestrials. It is a highly recommendable movie that will appeal to both linguists and good sci-fi lovers. Also Known As (AKA)> Albania (complete title): Kontakti i Parë; Argentina: La Llegada; Brazil: A Chegada; Bulgaria (Bulgarian title): Първи контакт; Canada (French title): L’arrivée; Canada (English title): Arrival; Chile: La Llegada; Croatia: Dolazak; Czech Republic: Příchozí; Estonia: Saabumine; France: Premier contact; Germany: Arrival; Greece: Η άφιξη, Greece (transliterated ISO-LATIN-1 title): I Afixi; Hungary: Érkezés; Israel (Hebrew title): Ha’mifgash; Italy: Arrival; Japan (English title): Message; Lithuania: Atvykimas; Mexico: La Llegada; Peru: La Llegada; Poland: Nowy początek; Portugal: O Primeiro Encontro; Romania: Primul contact; Russia: Прибытие; Serbia: Dolazak; Slovenia: Prihod; South Korea (working title): Contact; Spain: La llegada; Turkey (Turkish title): Gelis; Ukraine: Прибуття; USA (working title) Story of Your Life, USA: Arrival; Uruguay:(original subtitled version) La Llegada; Vietnam: Cuoc Do Bo Bi An. 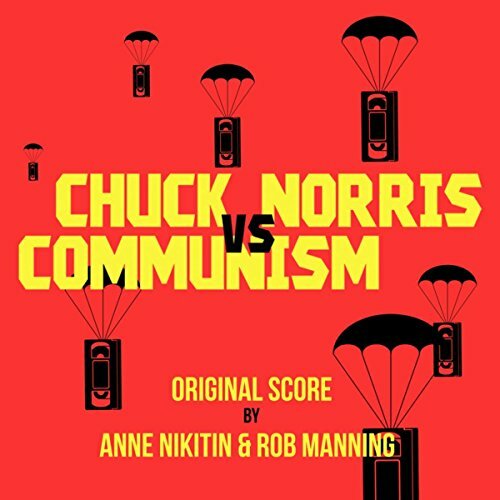 A great documentary which is worth mentioning is Chuck Norris Vs Communism. In a miserable Romania set in the eighties, a young radio newscaster, Irina Nistor, dubbed thousands of smuggled movies which allowed Romanians to learn about the other side of the Iron Curtain. Original title: The Interpreter Country: United Kingdom Release: 2005 Director: Sydney Pollack Cast: Nicole Kidman, Sean Penn, Catherine Keener, Sydney Pollack, Jesper Christensen,Yvan Attal, Earl Cameron. An African-born UN interpreter, a widowed Secret Service agent and a plot to kill the genocidal leader of Matobo are the key elements of this engaging movie. Both Sean Penn and Nicole Kidman nail their respective characters in this intelligent thriller. Catherine Keener, the supporting actress and winner of the Los Angeles Film Critics Association Award, deserves a special mention. The Interpreter isn’t a light and fun thriller; the viewer needs to be focused to keep track of the plot by Sydney Pollack. Recommended for any translator or interpreter fond of intrigues and unexpected turns. Original title: The Terminal Country: USA Release: 2004 Director: Steven Spielberg Cast: Tom Hanks, Catherine Zeta-Jones, Stanley Tucci, Chi McBride, Diego Luna, Eddie Jones, Barry Shabaka Henley, Zoe Saldana, Kumar Pallana. This movie is based on facts. An immigrant from the Balkans is caught up at the New York JFK Airport just after the war breaks out in his country. Soon, he starts experiencing communication difficulties. Despite the leading actor and director’s tendency towards unnecessary corny scenes, it is certainly an entertaining movie. Also Known As (AKA) > Brazil: O terminal; Germany: Terminal; Greece: The terminal; Argentina, Chile, Spain, Urugay: La terminal; France and Canada (French title): La terminal; Portugal: Terminal de Aeroporto; Russia: Tерминал. Original title: Stargate Country: EEUU Release: 1994 Genre: Sci-fi Director: Roland Emmerich Cast: James Spader, Kurt Russell, Jaye Davidson, Viveca Lindfors, Mili Avital, Alexis Cruz,Djimon Hounsou, Richard Kind, Erick Avari, John Diehl. A linguist is given a curious assignment to translate some whimsical tables from Ancient Egypt. His translation will become the key that will open a fascinating but threatening world. Strongly recommended for translators and interpreters who enjoy sci-fi and fantasy films. Original title: Windtalkers Country: EEUU Release: 2002 Director: John Woo Cast: Nicolas Cage, Adam Beach, Christian Slater, Peter Stormare, Noah Emmerich, Mark Ruffalo, Brian Van Holt, Martin Henderson, Roger Willie, Frances O’Connor, Jason Isaacs, Kevin Cooney. A messenger man uses native American languages to send messages during War War II. The army, despite counting on anthropologists to try to decipher communications, can do very little. Although at times it can seem somewhat repetitious and far-fetched, translators and linguists may still enjoy it. Original title: Charade Country: USA Release: 1963 Director: Stanley Donen Cast: Cary Grant, Audrey Hepburn, Walter Matthau, James Coburn, George Kennedy,Ned Glass, Jacques Marin, Paul Bonifas, Thomas Chelimsky. Audrey Hepburn is a UN translator and interpreter whose husband is murdered for no apparent reason. This event triggers a plot that reminds us of Hitchcock. The grace that Hepburn boasts when getting in the interpreter’s booth has gone down in cinema history. It is a must-see for all Audrey Hepburn fans. Ira, a young Russian woman in her twenties, lives in Geneva with her mother and doesn’t know much about her home country. Tashkov is an alleged member of the Russian mafia in jail waiting for his trial. Ira, who is a translator working for Tashkov’s defence attorney (defence lawyer) quickly succumbs to Tashkov’s charm, who is a powerful and learned man and seems to have the gift of reading her thoughts. But Tashkov will soon manipulate the young lady who wants to find her roots and her own way in life. When it dawns on her that danger can be hidden where least expected, it may be too late. Short film shot in a very realistic style. A young Indian translator works for an American journalist who is creating a photo feature on farmers’ suicides in rural India. Strongly recommended. Original title: Lost in Translation Country: USA Release: 2003 Director: Sofia Coppola Cast: Bill Murray, Scarlett Johansson, Giovanni Ribisi, Anna Faris. An actor in hard times and a photographer’s wife meet in Tokyo. The language and cultural barriers work as a metaphor for the character’s isolation… something more than just a friendship will develop in this crossroads. Although it is not directly related to translation, it strikes me as an inescapable reference. Rare and interesting movie telling the story of a young Jewish man who endeavours to find the woman who appeared in the picture his grandfather was holding in his deathbed. It also features the character of a translator/interpreter. 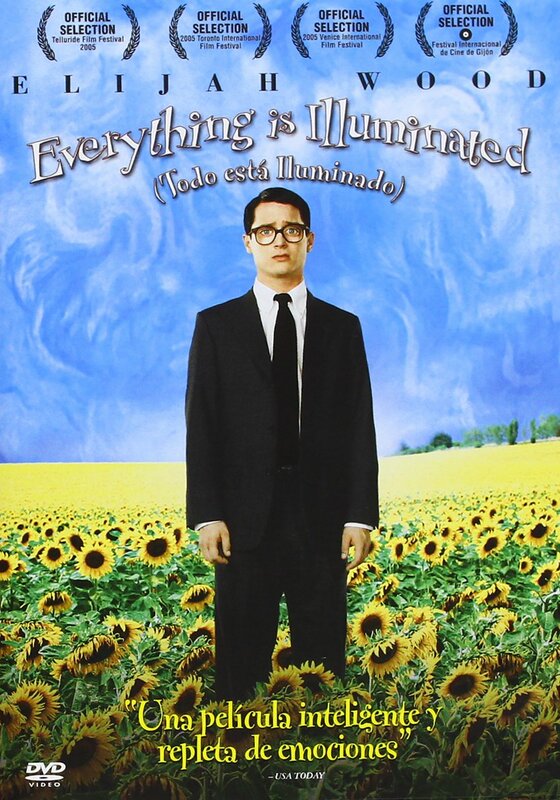 The soundtrack by Paul Cantelon is also a great asset to this movie. Original title: Spanglish Country: EEUU Release: 2004 Director: James L. Brooks Cast: Adam Sandler, Téa Leoni, Paz Vega, Cloris Leachman, Shelbie Bruce, Sarah Steele, Ian Hyland, Victoria Luna, Cecilia Suárez. A Mexican woman with a low level of English migrates to the US to work in a wealthy family’s house. The language barrier is soon evident. The best part is during the end credits, though some people will dislike this movie, and others may even find it fun. 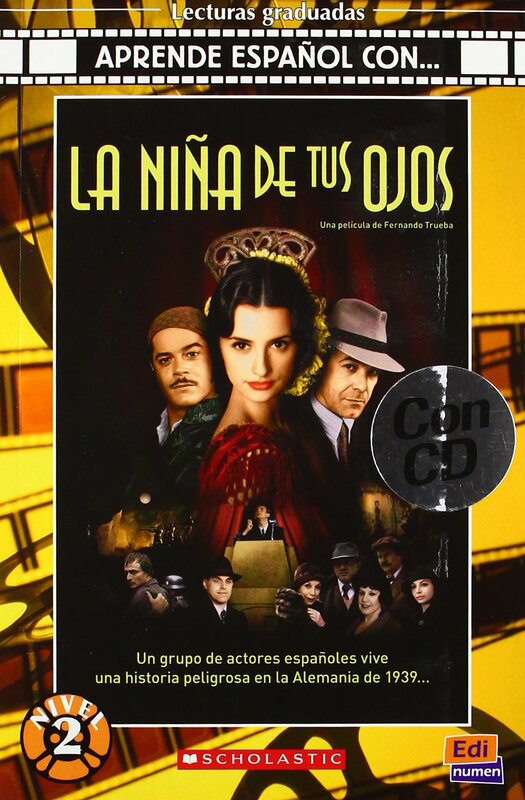 Original title: La niña de tus ojos (The Girl of Your Dreams) Country: Spain Release: 1998 Director: Fernando Trueba Genre: Tragicomedy Cast: Penélope Cruz, Antonio Resines, Jesús Bonilla, Jorge Sanz, Loles León, Rosa María Sardà, Neus Asensi, Santiago Segura. A group of Spanish filmmakers are invited to Nazi Germany to shoot the German-Spanish production ‘La niña de Tus Ojos’ (The Apple of Your Eye) at the UFA studios in Berlin. As Carmina points out, the character of the interpreter shows up, playing a rather humorous role due to the embarrassing situations in which he gets involved in the making of the musical drama. Waris Dirie (Liya Kebede) is in the hospital and needs an interpreter. Much to her dismay, she comes across a Somali translator who is giving personal opinions instead of accurately translating what she says. Instead of featuring only one interpreter, there is a collection of interpreters, who help trace Osama Bin Laden. Directed by Mexican filmmaker Alejandro González Iñárritu, with a script by writer Guillermo Arriaga, Babel premiered at Cannes on May 23, 2006 and completes Iñárritu’s “Trilogy of Death”, which started with Amores Perros. This film was the Golden Globe winner for the best drama in 2007 and candidate for seven Oscars, among them best film and best director (though it only got the best soundtrack award). The film narrates three intertwined stories which take place in different parts of the world: Japan, the United States and Morocco. It features four different languages with some hindrances related to language barriers (such as the American couple that suffers an accident in Morocco) or the communication skills (the story that takes place in Tokyo focuses on a deaf teenager). Leonardo DiCaprio plays the role of a white Rhodesian arms dealer in Sierra Leone. He sports an amazing accent and he also speaks krio and many times acts as an interpreter. This list wouldn’t be complete without a special mention of this Chinese series starring Qiao Fei (Yang Mi), who studies French and dreams of becoming a professional interpreter. His mentor whilst studying in Paris is Cheng Jia Yang (Huang Xuan), the son of a foreign minister and an outstanding interpreter of French to Chinese. This series is based on the novel “Les Interprètes” by Miao Xuan. It was a commercial hit in China. What is the origin of the word “Translation”? It is the process of translating and adapting words or a piece of writing from one language into another. It is also a full-time career and the main source of income for many translators and interpreters all over the world. Throughout history, civilizations have required translators and interpreters to share their culture, wisdom and works with the rest of the world. Almost every historical register, religious book, masterpiece of world literature, invention patent, major agreement or international treaty has been through the hands and eyes of translators. The translation of the Hebrew Bible into Greek in the 3rd century BC is regarded as the first major translation in the Western world. Translator addressing his master. Unknown Flemish artist. Late 15th Century. In a way, translators are the bridge not only between different languages, but also between periods of history, helping people all over the world break the language barrier. Translators and interpreters spend a lot of time transferring and adapting texts and speeches from the source to the target language. So it goes without saying that the origin of the noun translation —and, by extension, (to) translate and translator—, deserves to be analyzed on this blog. ferre, (“to carry” or “to bring”). Latin> We can find the word trānslātiō in the nominative and vocative cases. As it seems, there was an intermediate step, when English adopted the word from Old French translacion (traduction in modern French). So, not surprisingly, the origin of Translation is Latin… But what about Greek? The Ancient Greek term for “translation”, μετάφρασις (metaphrasis, “a speaking across”), has supplied English with “metaphrase”, which, despite having a similar meaning, is not exactly the same. Metaphrase means a literal, verbatim translation, as opposed to a paraphrase. It is also is also the translation of poetry into prose. With regards to the use of the word in the sense of “rendering an expression or speech into another language”, Leonardo Bruni, a Tuscan humanist, historian and statesman, was the first to use the verb tradurre to refer to the art of translation and Robert Estienne, a 16th-century printer and classical scholar in Paris, was the first to use the noun traduction (French for translation) in the sense of rendering of a message or text into another language. etymology of translationorigin of the word translationorigin of the word translator translating translatetranslatiowhere does the word translation come from?